Home Entertainment	Our IT Review is in! The legendary Stephen King should be proud of the recent adaptation to his chilling novel, IT. While we will miss Tim Curry’s portrayal of Pennywise The Dancing Clown, Bill Skarsgard does put a delightful new twist, horror and fear to the character. The premise of IT doesn’t really change save for the more modern setting. The story takes place in Derry, Maine and revolves around seven children whom refer to themselves as “The Losers Club”, who are forced to fight the multi-dimensional demon Pennywise The Dancing Clown while facing their own personal demons in the process. Right off the bat the eponymous opening scene of Georgie sailing his boat in the rain and going down the sewer drain, only to meet Pennywise, puts a smile on my face. Some scenes do play some parallel to the 1990’s miniseries; however since the miniseries was made direct-to-tv, the film adaptation is able to get away with a little more and is able to utilize more source material from the book. 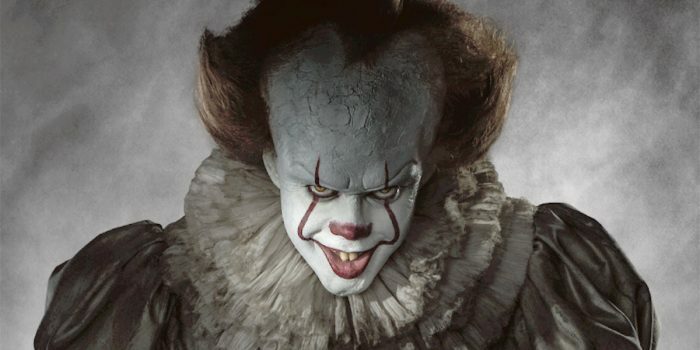 Tim Curry was excellent as Pennywise for the current time; Bill Skarsgard nailed the role as well for our time and put a fun, scary and tyrannical twist to the character. I couldn’t stop smiling upon seeing Pennywise pop up in the storm drain in front of Georgie; the makeup of the character and his whole demeanor just seemed right and fit so well. While the children that portrayed The Losers Club did an excellent job with their roles, I full well believe that Skarsgard’s portrayal of Pennywise stole the movie. IT is a jump scare film, plain and simple; the tone of the music does sometimes give away some scenes that are intended to frighten you but just doesn’t do the trick. In short, some of the scenes are predictable but are still fun to watch nonetheless. While some of the more major, let’s say NSFW material, wasn’t used in the film (not that it matters), IT still delivers with solid acting, frightening scenes, an energetic and well crafted story and gives us a fresh new take on Pennywise. Where The Dark Tower film failed at, IT delivered in style and gave us what we wanted from a Stephen King adaptation.